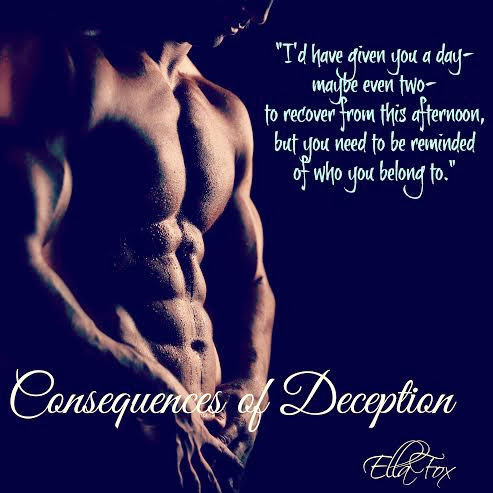 As I stated before March is my month to read and I've decided to kick it off with Ella Fox's Consequence of Deception. I am super excited to meet Killian. So since I'm reading him right now here's a teaser.